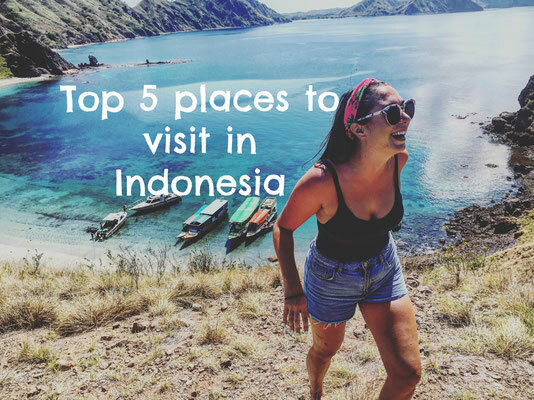 When you think of Indonesia you most probably think of Bali, Ubud, maybe Borneo? Have you ever thought about Raja Ampat? 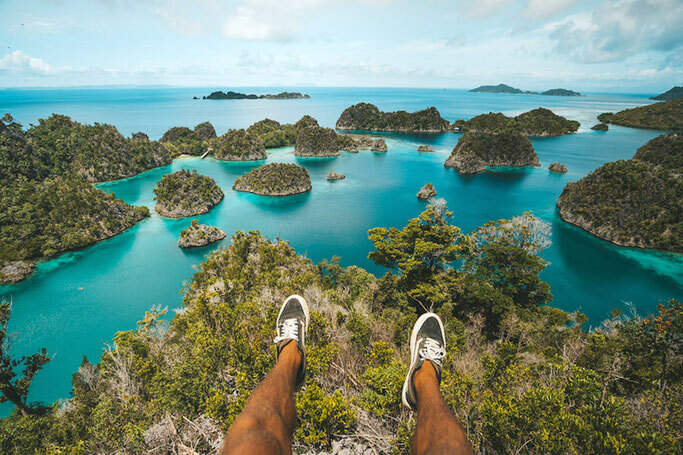 Comprising of over 1,500 small islands, in Indonesia's West Papua province, Raja Ampat is one of those postcard destinations; the ones you dream of.. then wonder how accessible they actually are. Most famous for its world-class scuba diving, there's no wonder Raja Ampat is up there on most peoples bucket list! 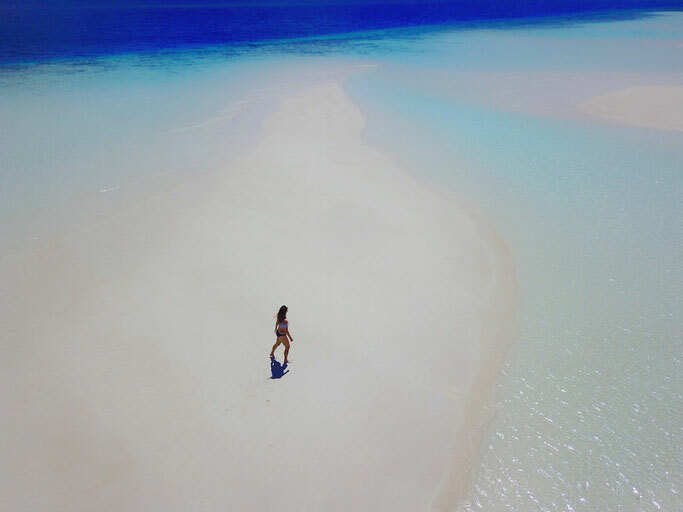 I'm here to show you why you need to stop dreaming of Raja Ampat and start planning. Let's get you to paradise. Good question, because it is not immediately obvious. 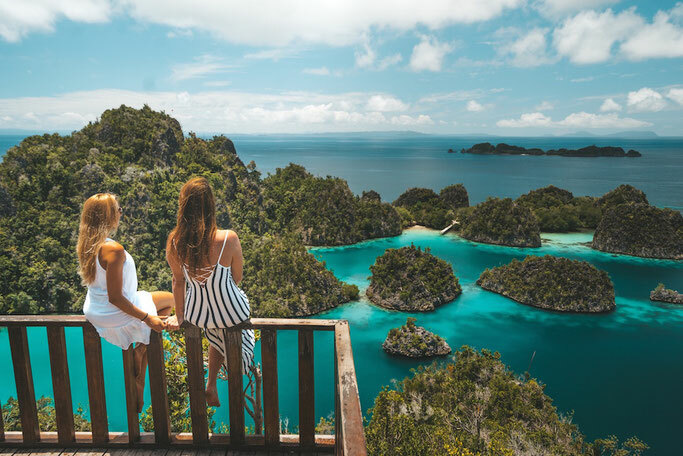 Raja Ampat is located on the island of New Guinea, a large island in Oceania and the world's second-largest island (after Greenland). The island is divided between two countries: Papua New Guinea to the east, and Indonesia to the west. Raja Ampat being in the Indonesia side. Now visualise that on a map... it's pretty far away from anywhere (unless you are in Australia reading this right now). So you've decided you need to visit (after looking at those 2 photos) but now, how the hell do you get to that island in the middle of nowhere? Well, all good things take time and patience, which is more than true with getting to Raja Ampat. We flew (4 FLIGHTS) from Laban Bajo (Komodo National Park), a bus and then a ferry to reach our destination inRaja Ampat, so yes, you are in for quite the journey. Take a ferry to Waisai. Raja Ampat has four main islands: Misool, Salawati, Batanta, and Waigeo. Waigeo is the main island and the one where most of the guest house and hotels are (we will talk about hotels in Raja Ampat later). If you've got this far you deserve to be rewarded with whats to come. Raja Ampat is one of the most beautiful places in the world. It's truly hard to put into words what a special place it really is. Untouched by the tourist hand, unseen by the foreigners eye, a place so magical it hardly seems real. Known as one of the best scuba dive destinations on earth, Raja Ampat is every divers dream. 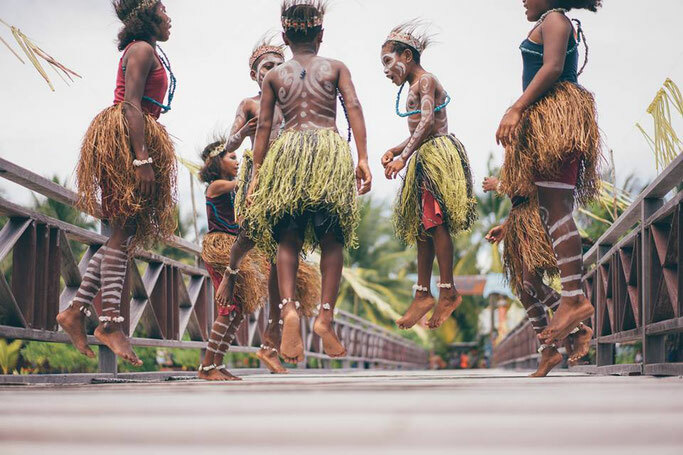 In the Conservation International Rapid Assessment Bulletin 2006 scientific surveys, they quote "the marine life diversity in West Papua is considerably greater than all other areas sampled in the coral triangle of Indonesia, Philippines and Papua New Guinea." AKA, you're not going to see anything like this anywhere else. 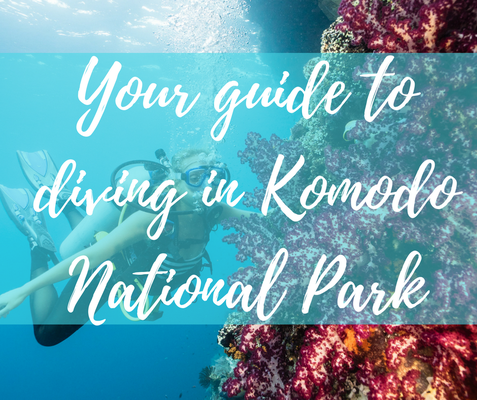 I could list you the best dive sites in Raja Ampat, but quite honestly, once you are there, and once you are under the waves you won't even care. What's more important is deciding on a liveaboard or a dive centre. Bear in mind the best diving is actually in the central part of the Raja Ampats, which is usually just accessible via liveaboard - the most popular way of seeing the underwater world of Raja Ampat. The view of ALL views. Heaven on earth. The most beautiful place on earth? However, you want to describe Pianemo there's no denying its beauty. A short walk up some wooden stairs on Pianemo island leads you to this viewpoint and one of the most breath-taking moments in your life. Once you've come down from the not-so-hike jump straight into the glass-like water and get the local coconut sellers to through you in a coconut to sip on while you float in paradise. Yes, it really is as dreamy as it sounds. Un-advised activities include jumping off the one of many small islands in the ocean, and off the boat you've just come in. 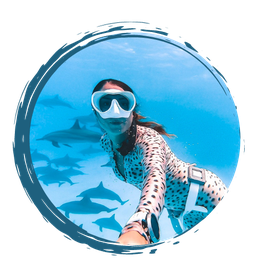 You will have to organise your own tour to Pianemo from the dive resort or liveaboard you are staying with. From our resort Raja Ampat Dive Resort it was a 1.5-hour boat ride through the beautiful waters of Raja. Arborek jetty - the most famous (and untouched) jetty in the world. 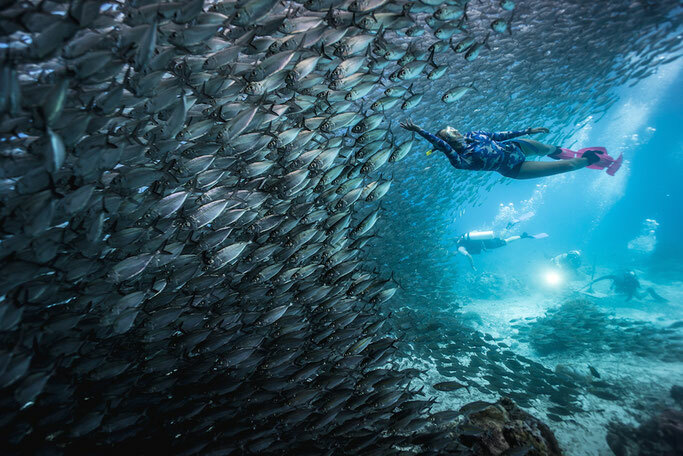 Jump in and be greeted with thousands and thousands of sardines awaiting to engulf you as you swim. You literally won't be able to see your hand in front of you swimming through their bait ball. I've been scuba diving for 10 years and I've never experienced anything quite like it - or anything on this scale. 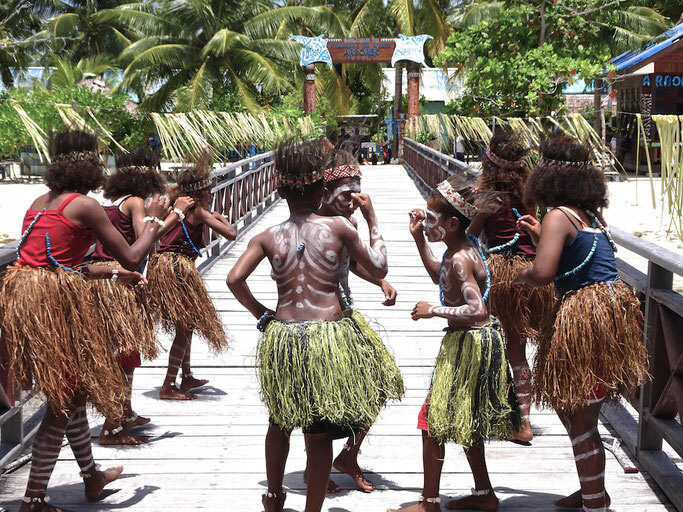 With a population of only 197 the village of Arborek is fast rising as a pioneer among the 18 beautiful villages in West Papua that have embarked on developing local regulations for community-based marine conservation. Home to the Arborek jetty - where the locals proudly protect the fish and the jetty, you would think that is its main attraction, however, we quickly found it was the locals themselves. Walking around the village talking and taking selfies with the islanders was a blast - and I even met a lady who was a part of Girls that Scuba on the island - talk about GTS power!! For sure go and visit after you've explored the jetty! When you've arrived in paradise it surely is only fitting to sleep in paradise too right? As mentioned before Raja Ampat has four main islands: Misool, Salawati, Batanta, and Waigeo. Waigeo is the main island for guest houses and hotels, which is where we stayed at the awesome Raja Ampat Dive Resort (yup, that picture above) which is around 90 Euros a night on high season, however there are actually quite a few budget options from 40 Euros and above in Raja Ampat so take a search below and see what options suit you best.